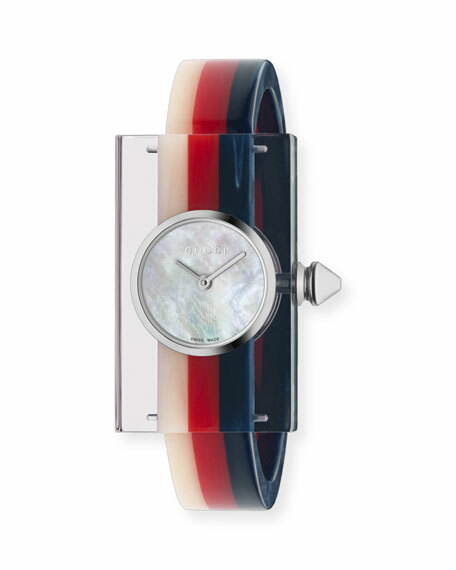 Gucci tricolor Plexiglas bangle watch. Mother-of-pearl dial with tonal logo text. G-Frame rectangular leather Blooms watch by Gucci. 21x40mm 18-karat gold plated stainless steel case. Floral white calf leather strap with thorn buckle. 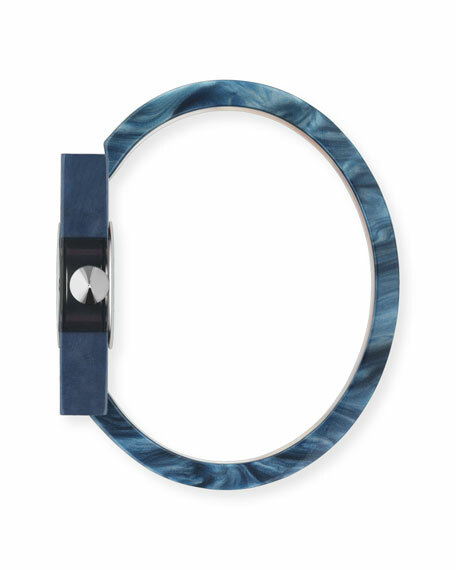 Mother-of-pearl dial with rose bloom motif. Yellow golden logo text at 6 o'clock index. Two-hand Ronda?? quartz movement. Water resistant to 3 ATM. Made in Switzerland. 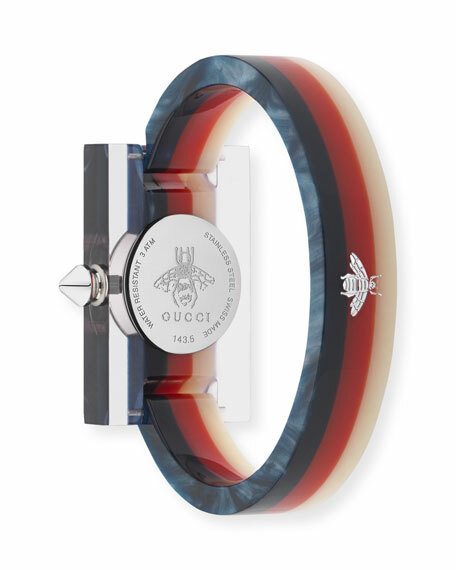 Gucci watch from the G-Timeless Collection. 36mm round stainless steel case and hardware. Black dial with mixed galactic time markers.